This new satellite is different from the rest of the SES satellite constellation in that it not only eschews the company’s traditional satellite naming methodology, but it’s also intended for government end users exclusively. Why would a commercial satellite company and the Luxembourg Government jointly launch a satellite specifically for government users? Why would an organization that builds, launches and operates its own satellites — such as the United States military — be interested in a government-only commercial satellite? Is there really market demand for such a thing in the commercial satellite market today? To answer these questions, Government Satellite Report sat down with Chris Kinman, Vice President of Business Development at SES Government Solutions, and Paul Wells, the Vice President of Government Satellite Communications at GovSat, to discuss why GovSat-1 is important for today’s federal government, how it’s different from government satellites and constellations that are available today and why a government-only satellite was a smart investment for one of the world’s largest satellite communications companies and the Luxembourg Government. What exactly is GovSat-1 and how is it different from other commercial satellites? GovSat is a public-private joint venture between the Luxembourg Government and SES, the world leading satellite operator. 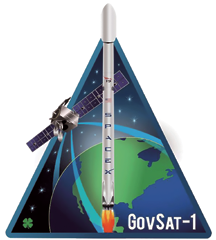 GovSat-1 was launched in January 2018 year and has been operational since March of 2018. It is not a commercial satellite but one designed for use only by Government and Institution users. The unique satellite features the latest technology advancements in communications security and is entirely dedicated to governments and institutions including defense and security applications. In the situation when cyber threats are becoming increasingly more sophisticated, the resiliency and robustness of communications capabilities are absolutely paramount. GovSat-1 was devised with this in mind and has additional levels of security compared to traditional satellites. Unlike traditional satellites, the frequencies GovSat-1 is using are in X-band and military Ka-band. GovSat-1 provides the most powerful and flexible X-band capacity available. This frequency is reserved for governments and institutions and is ideal to establish secure and robust satellite communication links, for example between theaters of tactical operations, maritime missions or over areas affected by humanitarian crises. The secure communication links enabled by high-powered military Ka-band beams are for smaller, high-throughput VSAT terminals and are ideal for mobility applications, such as Intelligence Surveillance and Reconnaissance (ISR) missions and various border surveillance applications, including maritime. Why did SES and the Luxembourg Government jointly build and launch GovSat-1? What is the business case for building and launching this satellite? The business case is to provide secure, assured and resilient satellite communications Services for Governments and Institutions for NATO, EU and Allied partners to Luxembourg. The government operates its own purpose built satellite and that fleet handles most of its SATCOM requirements. How is GovSat-1 different from the purpose-built satellite that the military currently operates? There’s really not much of a difference. The big difference is the investment that we made on our own dime and with investment from the Luxembourg Government. We designed the satellite very close to government needs in meeting their demands for secured communications. We built in NSA grade encryption of the telemetry and control and wrapped security around the service, as well as the facilities that serve the ground segment. We also built in military grade anti-jam capabilities — all of the resilient type of U.S. government requirements. They get the same thing with this satellite. It sounds as though there are a lot of similarities between GovSat-1 and a satellite that the U.S. military currently operates and that raises a most interesting question — why use GovSat-1 instead of these purpose-built satellites that the military already has? Nothings free in life, including those government satellites that I talked about. Those constellations were expensive and, frankly, they’re very expensive to operate. SES and Luxembourg Government saw the opportunity to economically fulfill critical mission needs. The military needs satellite bandwidth at certain times and that bandwidth has to work. With a government scenario, trying to get priority bandwidth, a lot of our users have come to us and said they have to wait in line, participate in a scheduling process and hope that they get the bandwidth when needed. They have to contend with others in the mission area and oftentimes may not be able to get that bandwidth because some higher priority command came along and took it away. Earlier this year, GSR heard about issues with ground stations and ground technology at a trade show. Would the use of GovSat-1 require the U.S. government or a U.S. military user to have different ground infrastructure or new technologies and terminals on the ground? The great answer is “no” because our end users don’t have to modify anything about their WGS capable terminals. 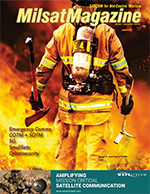 They don’t have to go out and do a refresh of any of these terminals that are out in the field — all they need to do is tune to the military Ka- or X-band frequencies that we provide. The capacity is unbelievable — we’re talking about 10 transponders alone in global beam for X-band, up to 40 transponders for narrow beam of high powered beams for X-band, and 36 transponder equivalents within the Military Ka-band. These beams are steerable and military grade and the satellite is so flexible that users can cross strap both between beams and also across X- and mil Ka-band. This is the inflection point where commercial satellites meet government satellites. We’re at a point where the technology is blending and they can pay for service and get outstanding results. 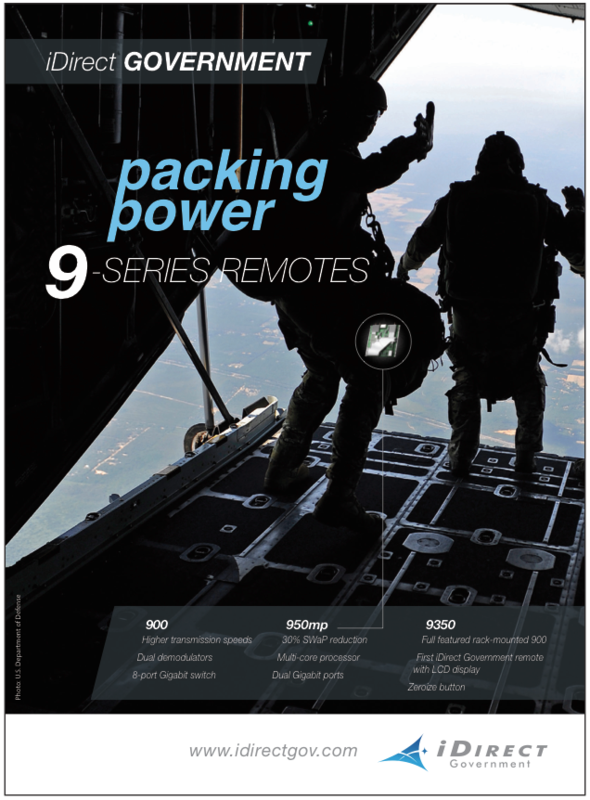 To learn more about GovSat-1 and how it can benefit government users and the military, please visit ses-gs.com/govsat/resources/govsat-1-brochure/.